So there you have it. 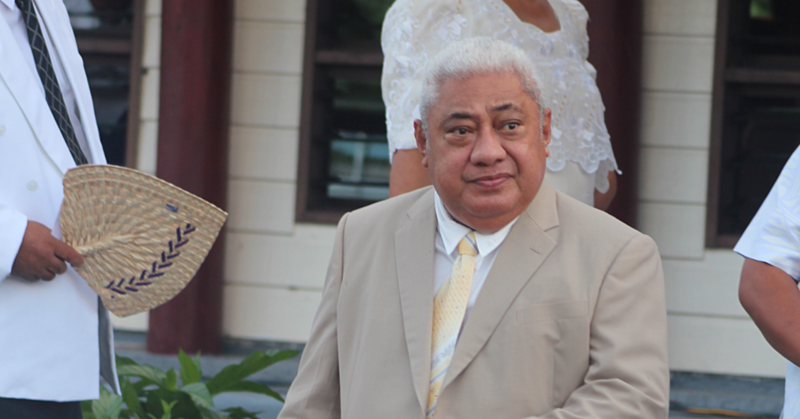 The former Speaker of Parliament and Cabinet Minister, La’aulialemalietoa Leuatea Polata’ivao’s decision to break his silence – over his future with the ruling Human Rights Protection Party – has at least given us a better idea about both sides of this most fascinating story (read story front page of Tuesday’s Samoa Observer). But here’s the truth. Wherever this little episode ends up, it’s sure tough to be in La’auli’s shoes and he’s unlikely to come out the winner for a couple of reasons. Firstly, he is isolated. You cannot go at it alone against a force such as the Government as it stands today. Prime Minister Tuilaepa Dr. Sa’ilele Malielegaoi and his band of merry men have all the power and the trump cards. Reason and logic doesn’t count here. This is the ‘hunger games’ of Samoan politics, where the quest for total control, absolute power, influence and more is ugly, unforgiving and merciless. At the end of the day, it’s a numbers game. Secondly recent history doesn’t augur well for the veteran Member of Parliament, who appears to have already lived the twilight years, of his illustrious political career. In other words, it’s unlikely this would have happened if La’auli were still a Cabinet Minister or the Speaker of Parliament. But as it stands today, poor La’auli is an isolated man – with his only other comrade found in that lone ranger called Olo Fiti Vaai. Funny how things have changed from when Olo, known as Levaopolo Talatonu at the time, would always test and taunt La’auli’s patience as the Speaker. How time has evolved though. Quickly. Either way, La’auli’s courage and conviction to stand up for what he believes in, should be applauded and admired. In a one-party state, where he who has all the power is expected to hunt down that one lone dissenting voice, the treatment of La’auli is not surprising at all. It’s symptomatic of autocratic regimes. But what’s important is that La’auli has made a stand, which we can only applaud. In times like this when there is so much confusion, people need brave men to stand up and be counted. Sure La’auli has his faults – just like everyone else – but he has at least shown he will not be intimidated and silenced by the threat of being sacked and isolation. Of course it has come at a huge wcost. But history doesn’t remember coward politicians who toe the party line at the expense of their constituents. History doesn’t care about big lauia’s, whose brains and conscience are tied to their political party affiliations, while the decisions being made by the party are hurting the very people they should be representing. 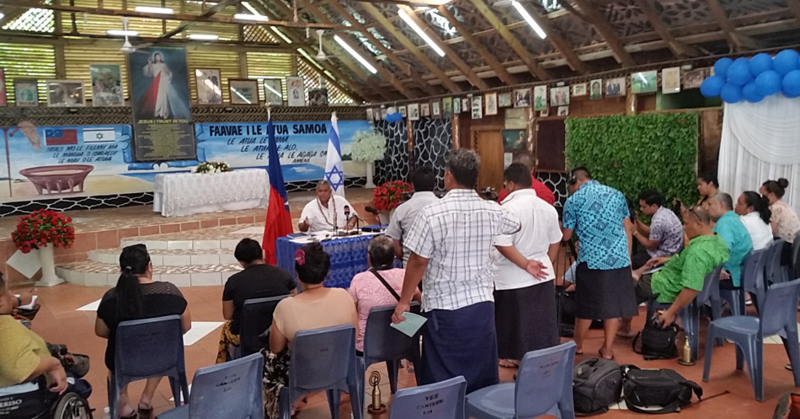 Which brings us to other Members of Parliament from Savai’i – and Upolu to an extent – whose constituencies were affected by the very Bill La’auli has risked his political future over. In the lead up to what’s happening to La’auli today, there were at least two other constituencies who lodged petitions against the bill. One was Gagaemauga No. 2, the other Palauli le Falefa. Which means at least La’auli and Olo could have found support in these two Members of Parliament. They did not. Where were they? Why did they not stand up for what their constituents had fought for? This was perhaps one of the most disappointing aspects of this debacle. Apart from these two, there were other Members of Parliament, whose constituents will be greatly affected by this law change, and yet they could not speak up. Their lips were sealed, they were silenced. Someone needs to remind them that Tuilaepa and the HRPP did not vote them into Parliament. Their constituents did. As it stands today, poor La’auli and Olo! If only there were other MPs from Savai’i – who could have recognised the enormous injustice that now exists – in terms of representations for Upolu and Savai’i in Parliament.